MATATU, AN UBER-ESQUE APP FOR TRICYCLE IS SET TO HIT LAGOS SOON. Tech is providing solutions to real life, Nigerian problems. Innovation is best when it tackles relatable problems and this is why we are excited about this app. A new tech startup is ready to launch a Tricycle ride sharing service in Lagos, Nigeria. The app will make it possible for passengers to book tricycle rides to various location around town from the convenience of their mobile devices. To kick the product off, the app will be available on iOS and android operating systems. Through the app passengers can see available tricycles closest to them, book a ride and make payments for rides. Cash payment also are allowed. The developers of the app are promising safety to riders as they have gathered and trained many Keke Maruwa drivers, these drivers are signed under them. In accordance to the startup’s policy, all Keke Maruwa signed must be at most two years old. Motor Tricycle plays a big role in public transportation in Nigeria. Looking out most Nigeria roads, these tricycles popularly called Keke Maruwa are seen transporting people and goods from one end of town to another. Most commuter prefer the Keke Maruwa to regular public buses because they’re easier to fill up, moderately open thereby allowing free air, less crowded, less bulky thereby easier to ride through traffic jams. Tackling the fact that tricycles are not allowed into some areas around Lagos, the creators of Matatu plan on working with the state government to grant access to their drivers into these restricted areas. The startup also hopes, just like Uber, to manage transportation businesses for Keke Maruwa owners who may not be available to monitor the daily running cost and logistics. Convenience through tech-powered innovations are meeting local peculiar Nigeria needs. More applications like Matutu are expected to make life easier for the average Nigerian. Lagos, get ready, Matutu is coming to meet you. A MADE-IN-NIGERIA APP HAS BEEN NAMED WORLD'S MOST INNOVATIVE APP FOR BRIDGING THE INFORMATION GAP HIGH COST OF DATA CREATED IN DEVELOPING COUNTRIES. Innovations that break boundaries are one that tackle complex problems in simple ways. Information is the air of 21st centuary and every attempt to disconnect a modern man from information may as well kill him and his opportunities to compete with his peers. A Made-in-Nigeria app, Sliide airtime has been named as the World’s Most Innovative App at the Global Mobile World awards, this is more or less like the ‘Oscars’ of global telecom industry. Sliide airtime beat out heavy, high funded firms like Unlockd and Buzzvil. The Nigerian app which launched in March, 2016 offers users local and international news, self-personalised entertainment updates and sponsored adverts. The company uses 65% of its income to purchase mobile data from telcos thereby providing data for users, users also earn more airtime by completing tasks such as answering surveys and reviews from sponsoring brands. Considering the challenges of power, causing a hike in data in developing countries, this bridges the huge gap of poor web availability also offering solutions for more seasoned, littler and slower gadgets and a client base who are less usual to utilizing applications in their regular day to day existence. Sliide is putting information in places of limited accessibility yet where they are needed the most. In less than one year, Sliide is catering to over 50,000 users who are receiving free call time monthly. The company is receiving increased sponspored adverts from local and international brands e.g. Unilever among other multinational companies in Nigeria. Following Sliide’s evident impact It was also named Best African App at the 2016 AppsAfrica Innovation awards in Cape Town, beating off competition from more than 200 submissions from 25 countries, Most Effective Consumer Smartphone App at the Effective Mobile Marketing Awards in London, the Mobile Marketing Company of the Year at the annual Nigerian Telecom Awards and winner of the Game-Changing Innovation category at the West Africa Com Awards. With a successful flag off, Sliide is planning on expanding beyond Nigeria into its second and third markets of South Africa and Pakistan. The app is available for download on the Google Play Store or can be directly onto your phone. NO INTERNET CONNECTION FOR ONLINE BANKING? TOO LAZY TO GO TO BANK? WORRY NOT WEMA BANK ON WHEELS IS COMING FOR YOU. Though internet banking and fintech services are picking up in Nigeria and Africa at large, certain limitations are still getting in the way of the desired adoption level. With growing internet penetration, the not-so-high literacy level of the country no doubt is affecting the rate and speed of internet banking adoption. WEMA Bank Plc, a Nigerian Based Bank has launched a solar-powered mobile bank, reaching customers in remote areas of the country. A motivation behind the project came from a recent closure of one the bank’s Branch at Abule Egba, Lagos, due to road construction projects around the bank’s location. This left customers stranded and forced to travel farther branches for transactions. Inspired by this event, the bank is scaling the Mobile bank branch project to the rest of the country to reach customers in remote parts. Asides the fact that the mobile bank is solar-powered the bank promises to incorporate all modern and best practices into their delivery system. With two automated teller machines, adequate power and sufficient mobile internet for each vehicle, the “Wema bank on wheels” is out to take Nigeria by storm. Kemi Aina, Head, Customer Service Management, revealed the a major target of the innovation to be Nigerians missing out on internet banking and USSD banking services, bring it banking right to their doorstep. Though not the first mobile bank service to launch in Nigeria, Wema bank's service is innovative for using solar energy and environmental friendly technology. Doorstep delivery service is expanding beyond the food and beverage to fashion industry into the financial industry. Consumers are becoming more powerful, and with little to no effort services are now delivered and spoon fed to customers. Noting how competitive the market is now, every service deliverer must give much more to bet out competitions and potential threats. WEMA bank is snatching unattended customers and this is how to win in 21st Century. THE PIONEERS OF THE FACEBOOK SAW THE APP AS A COLLABORATING NETWORK OF PEOPLE AND THIS WAS WHAT MADE CHRIS COX, CHIEF PRODUCT OFFICER OF FACEBOOKTO JOIN THE GROUP 12 YEARS AGO. CHRIS COX WAS AT THE SOCIAL MEDIA WEEK 2017 AND HE SHARED THE PAST PRESENT AND FUTURE OF FACEBOOK. At Social Media Week Lagos 2017, Chris Cox, Chief Product Officer at facebook gave a keynote speech that detailed the future of social media and how facebook is helping to influence the use of social media. How will the media work in 2017? IMMERSIVE MEDIA: This is giving the app user the power to use video to connect and communicate. He said that Immersive Communication is gaining popularity because people have the need to gain a sense of community, intimacy. This can be done through faceBook Live videos. FACEBOOK AD CAMPAIGN PROMOTING FACEBOOK LIVE, IT'S VIDEO BROADCASTING FEATURE. Chris Cox revealed that facebook is helping build cameras that can assist people with all round communication – 360 Camera This will enable viewers to see all sides of a location during a conversation. This will introduce a new feature called 360 video. Furthermore, 2017 will see the exploration of virtual reality more. Facebook is creating touch controllers that will enable viewers see their hands while in the virtual world. Have you ever thought of an instance when you can connect, play games, have meeting with someone or people who are not physically present with you? Well, according to Cox, facebook is taking Virtual Reality one extra degree into the future. AT THE 2016 OCULUS CONNECT 3 KEYNOTE, MARK ZUCKERBERG SHOWED OFF A LIVE VR CHAT WITH THE OCULUS RIFT. This helps viewers see others especially celebrities as real. People who are not known but have content are using videos to find their voice. MEDIA CREATES COMMUNITY: Media brings us together because we have similar experiences. How can brands create communities when everyone is not watching the same thing at the same time? That can be done by reaching out and putting up information that is relatable to your target audience. Brands should take advantage of this. 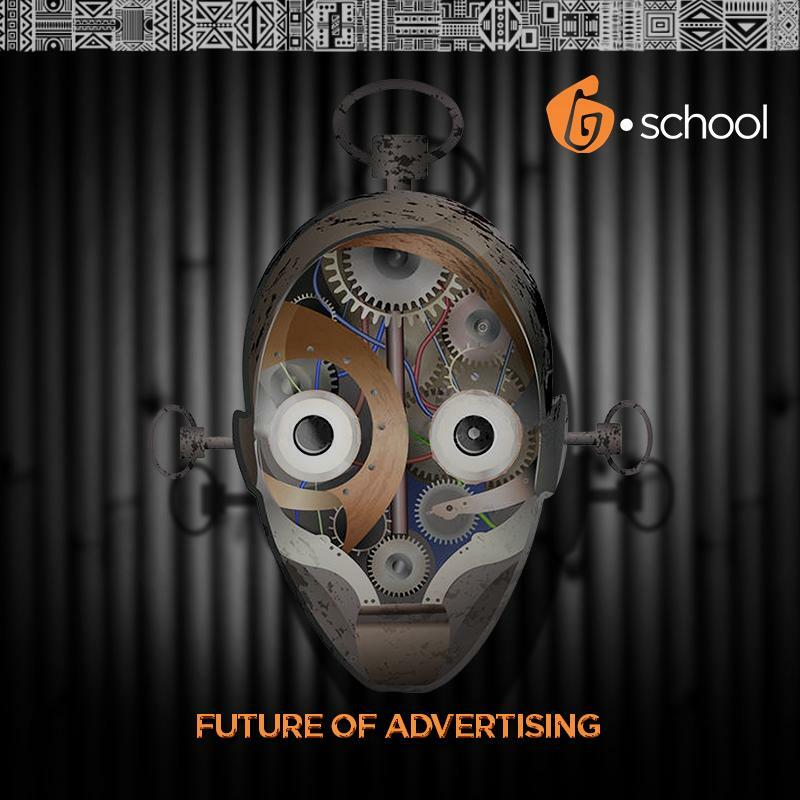 The questions you should ask is “Who is my community how do I put my arms around them to make them a part of what I do?” The possibilities on new media are massive and brands are advised not to let this slide away without taking proper advantage of it. 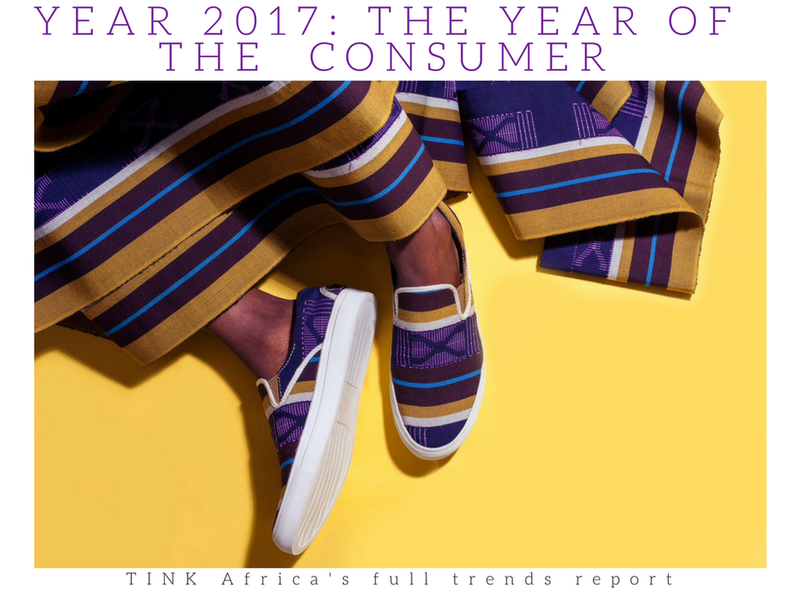 TREND WATCHING HAS RELEASED 5 MAJOR 2017 TRENDS COMPILED FOLLOWING 2016 TRENDS AND OBSERVATIONS. With 2016 representing a year of social polarity, political extremism and further divisions, isolation has never felt so at home in the minds of the masses and the marginalized. However, across the Middle East and Africa, 2017 will mark the year that a host of progressive brands and crowd-powered activist initiatives stand up for the repressed and the excluded. Trend 1: Rise of the underdogs – Many new innovations and initiatives showcased a new trend in projecting the voice of minorities, from a first of its kind Albino Pageantry in Kenya, to the launch of South Africa’s LGBT online streaming channel down to UN refugee team competing at the Olympics and to an all Muslim female Cycling Campaign, minorities found their voice in 2017. Trend 3: Fintechphilia – 2016 was more or less the year of fintech in Africa. On a macro-economic scale, Financial Technology (FinTech) is set to be one of the biggest game-changers in 2017, as investors patiently await the killer FinTech product that, like M-Pesa, will disrupt, not only Africa, but also the world-at-large. 2016 saw the birth of Flutterwave, an online payment platform allowing customers process secure payments and access banking services in Africa. June 2016 saw the birth of Amplify , a Nigerian payment platform focusing entirely on subscription payments and July 2016 saw the innovative move by standard chartered bank in the birth of Video banking services available online to their customers. Trend 5: Leapfrog social - With less time (and resources) to get things wrong, Africans in 2017 will be reveling in their own innovation-shortcuts that leapfrog the global status-quo regarding P2P, social media and other interactive platforms. In 2017, regional innovators will turn their attention to social media solutions that leapfrog the West's in order to 'fit' the needs of the local market. These social advancements will focus on embedding African cultural norms into services and platforms . May 2016 saw the introduction of a new wifi network on the Congolese island of Idjwi. The mesh wifi network is beamed across the lake by a powerful antenna, with the signal being transmitted by masts. November 2016 saw the launch of new social media by a prolific Nigeria-based blogger and entrepreneur launched Linda Ikeji. The social network that combines new reports, social interactions and online shopping, and pays users with over 50,000 follower. In Zambia, InstaVoice Celeb is a new service giving subscribers access to audio updates from their favorite celebrities. Launched by Zambian Telecommunications Company Zamtel was launched allowing users follow their favourite celebrities, actors, musicians and fashion designers and also receive periodic voice updates. May 2016 saw the birth of NetFlorist in South Africa, campaign filming people’s reactions to flower deliveries. October 2016 saw the birth of Nigeria-based Balogun Market app allowing users to buy products and services via chat.